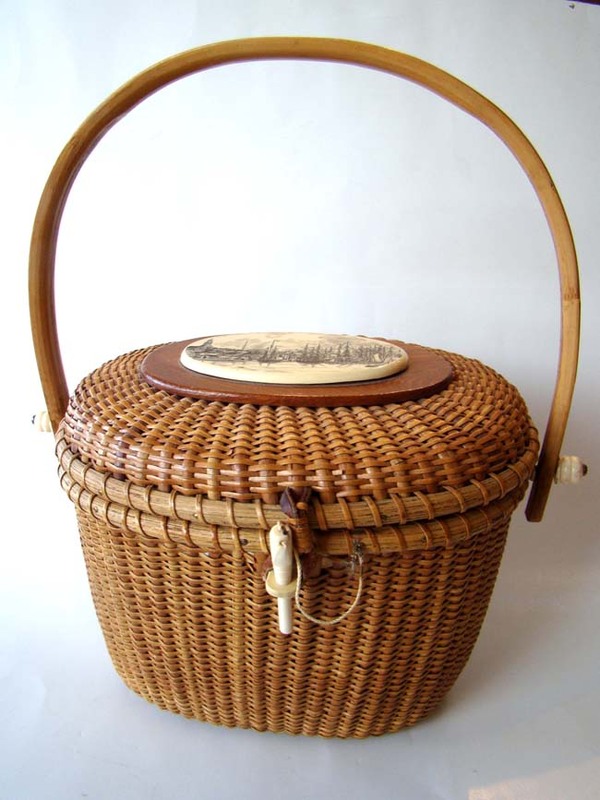 The interior of this lovely Nantucket basket is lined in a beautiful blue fabric. The bottom of the basket is stamped "BARLOW." 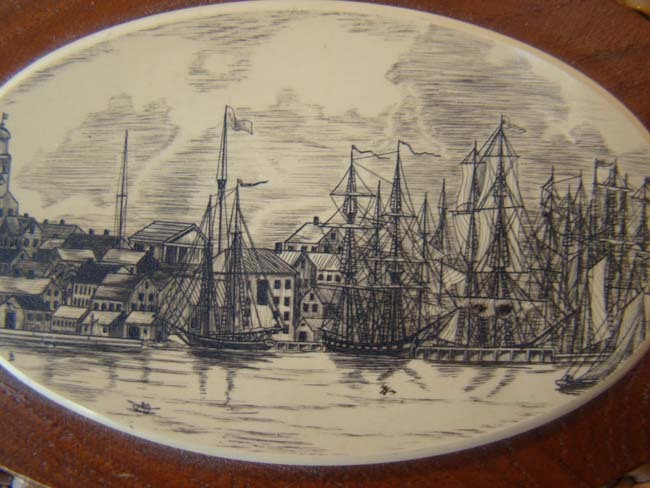 The lid has an oval faux scrimshaw disk engraved with a scene of Nantucket Harbor in the 19th century. The other mounts appear to be bone.